At the Met’s second performance of I Puritani this season, Diana Damrau finally admitted defeat to bronchitis or whatever ailment has plagued her (and half the singers at the Met this year) and cancelled. 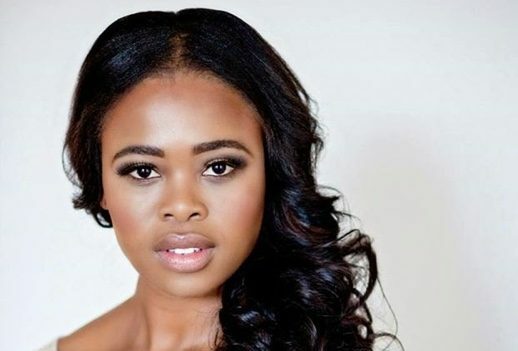 Happily—oh so happily—Pretty Yende was still hanging around after her last Barbiere (she is scheduled for a few Juliettes), and she knows the role of Elvira, having sung it in Zurich last June. Instead of a Puritani with only one star in the famed Quartet, we had a Puritani Quartet for two. Heaven only knows what the Zurich production of Puritani was like, but Yende’s interpretation was very different from Damrau’s. Instead of the rather giddy canary whirling about the vast Walton mansion, Yende was a sterner presence. At the end of Act I, she fiddled on the floor with a discarded bouquet of white roses, and she spent Act II toying with a wedding veil—whose? it can’t be the one the Queen eloped with in the previous scene. Yende’s bel canto chops were never in doubt. She ornamented wherever she could, in “Son vergin vezzosa,” in “Vien diletto e in ciel,” in the final cabaletta, where she sang Sutherland’s variant with considerable credit. More impressive than that was a sweetness, a lusciousness to the overall tone that recalled Mariella Devia and contrasted with Damrau’s rather metallic sound. More impressive even than that, her pitch was absolutely true throughout “Qui la voce,” where Damrau sang flat. There were some insane high notes—was that an F at the end of Act I? And a great deal of confident singing altogether! The voice seemed a bit small in Act I, and she came down to the footlights to go mad, but she seemed to gain strength in Act II, easily matching the other singers. She and Javier Camarena, such happy partners in Barbiere, seemed truly to enjoy each other’s company, tapping phrase for phrase in “A te o cara” and the great Act III duet. He sang gorgeously up to ringing high D’s, and ornamented the later verses of his serenade in a felicitous and appropriate way. Alexey Markov seemed to have a cough, and choked on several lines in Act II. Luca Pisaroni, a suave Mozartean, was out of his depth as Giorgio, a role that requires the room-filling sound of a James Morris. “Suoni la tromba” went for naught. I had thought, during the Barbiere, that Yende did her best singing in the Lesson Scene, where she is out of Rosina’s character in an aria di bravura. Her Elvira justified my feeling that she is potentially a great dramatic coloratura. If anything, the lacework was a trifle excessive, though on such an occasion (last minute substitute in a part no one’s heard you sing) and in such an opera as Puritani, this is of no importance. For a more dramatic role, one would hope for less ornament and more dramatic point. For Elvira’s mad scenes—well, the dramatic point is the singing. This appears to be a natural role for Yende, and I hope we shall have more of her in it.